Better search features on your WooCommerce store can contribute effectively to your conversions. However, it is something that is not given high priority like some of the other popular strategies like email marketing. If you pay a little attention to optimize searches on your store, you can assure a better customer experience on your store. The WooCommerce basic version has a search field, but it often lacks in providing relevant results. 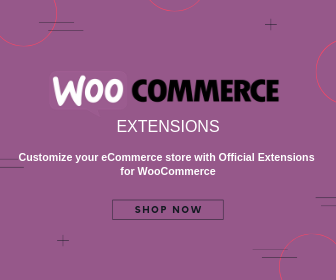 In contrast, there are quite a few extensions that can add more relevance and faster results to your WooCommerce product search. This article looks into some of them, and explore the obvious advantages of an optimized search feature. 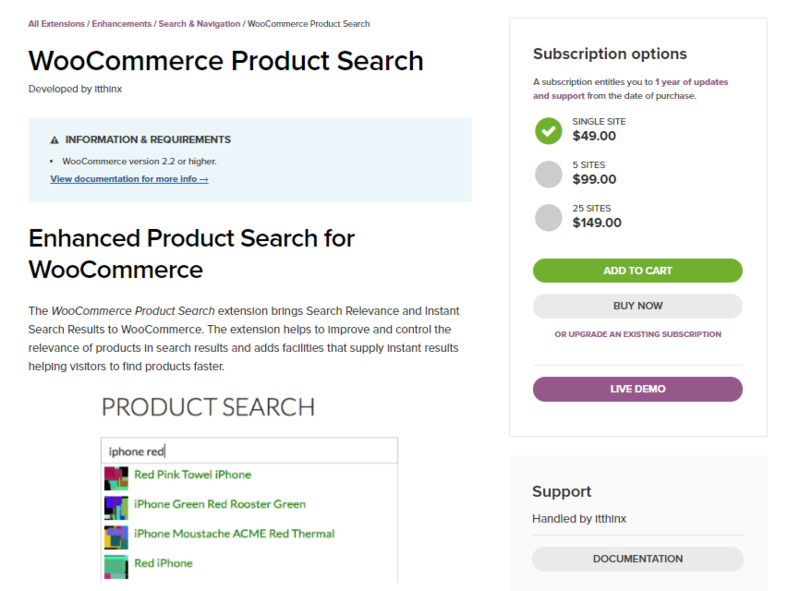 With the help of WooCommerce Product Search extension, you can bring in more relevance and instant search results to your store. As a result, your visitors will be able to find the products that they are searching for on your site. This will, in turn, have a positive impact on your store conversions. The notable improvement in search results is achieved by utilizing Search Weights. You can set priority to search results by looking for keyword matches in the product title, excerpt, content, and tag. Basically, if you want to set one product to display before another, you can do that by giving a higher value in Search Weight. If search weight is set at 50 for the product title, every time a user types one of the keywords the relevance increases. For example, if your product is Red Delicious Apple, the relevance increases by 100 (50+50) when the user types “red apple”. You can similarly set the weight for other facets such as product short description, content, tags, etc. This gives you better control as the store owner to manage the search results in your store. Moreover, the extension offers new controls that would increase the relevance of product categories as well as individual product searches. There is live search option as well, where visitors are able to start typing what they are looking for, and the extension displays relevant results. This will help the customers find products on your store much faster. Another great aspect of this extension is that you can place the search field anywhere on the site. You can do this by using a widget, shortcode, and template API function. The plugin is available for purchase at $49 for a single site subscription. If the search field on your store is pretty limited and is not always giving relevant results, you need to enhance it urgently. This plugin helps a lot in providing fast results for users when they search for products on your store. If a potential customer is not able to find what they are looking for on your site, they might go elsewhere. The YITH Ajax Search plugin helps in managing product searches on your site for better sales outcomes. You can leverage the product search feature on your store to efficiently market the plugin too. Often users search with keywords that you can set up strategically in product title, categories, and tags. If you are able to summarize your product features well in the search results, including any discounts, chances of conversion are better. With the help of this plugin, you can display product previews with description, price, and image in the search results. This is quite good to create an interest in your products. And, if you have any discount offers going on, then displaying it in search results would increase the chances of conversion. Similarly, you can also create a custom label to indicate that a particular product is part of a promotional offer that is going on. Also, there are advanced search settings which let your users choose how they want to search. For example, searches can be made specifically in categories, tags, excerpts, etc. 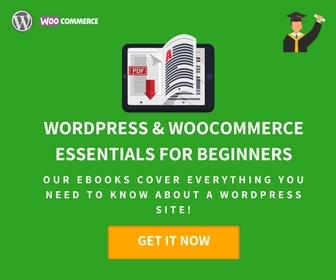 It is compatible with WooCommerce Multi-Vendor plugin and WPML. The plugin would cost you $65 for a regular license. This is a powerful WordPress plugin that helps with live searches on your WooCommerce store. 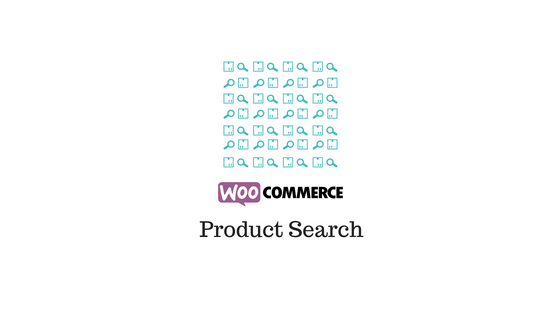 With this plugin, you can search across all WooCommerce products on your store. You will be able to set the search to be done in the product title, categories, tags, SKU, product description and short descriptions. Either choose to search in all these parameters together, or search only in a few of the specific ones. Additionally, the plugin offers shortcode to place the search field anywhere on the site. 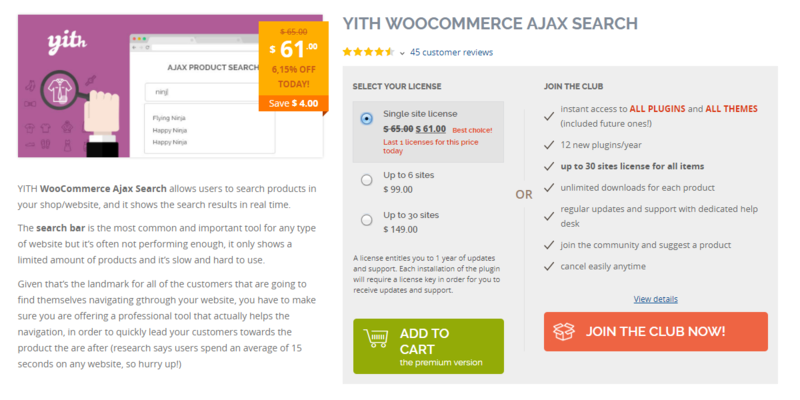 Advanced Woo Searcch is a free plugin that helps to enhance the product search features. The plugin also helps to include product image and price in the search results. As seen earlier, this is a great option to boost sales on your site. There is also an advanced organization strategy, where the results are arranged by the priority of the source of search. This is somewhat similar to the Search weight of the WooCommerce plugin. For example, consider a search keyword is found in the product title for one product and in the description for another. It will give priority to the one that has the keyword in the title, as it naturally improves the relevance. The plugin is really user-friendly, and you can set it up with minimum effort, and no additional technical knowledge. 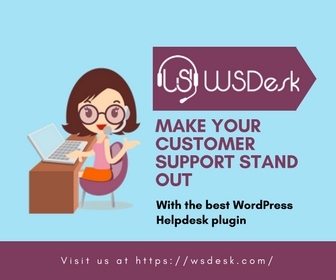 You can download this plugin from the WordPress plugin repository for free. It is compatible with WPML, and Google Analytics, and supports variable products. Advanced Woo Search plugin has a pro version that provides with many more added features. These include multiple layouts for search results and filters to display multiple search results in different tabs. You can also create multiple customized search forms according to the requirements. The pro version also has an option to exclude specific products based on their category or tags. In addition, you can set a source for the product image that is displayed. For example, you can choose the image from the featured image, gallery, product description, etc. Product search is an important aspect of any eCommerce business. When offered in an optimized way in your WooCommerce store, it can help to improve sales and conversions considerably. Let’s look into some of the best practices in WooCommerce product search that can bring in good results for you. One of the most important aspects that determine user experience on a site is navigability. The users and potential customers who land on your site should be able to easily find the products they are looking for. We already know how the plugins mentioned above can really help in improving the functionality of the search feature. However, the way you place the search field on your store plays an important role in inviting people to use it. Most online stores will have a navigational menu that will be organized based on categories and subcategories. Although this can be helpful, sometimes it might leave a lot of work to the users. If users can’t relate to your category structure, this might become confusing for them. A solution for this would be to set up a useful search field on your site. Just keeping a search field hidden in one corner, however, won’t do the trick. You need to place it in a conspicuous place on the home page and encourage site visitors to use it. If you use an attractive color scheme, contrasting the overall color tone of your site, it can draw more attention. Moreover, keeping some text in the search field to let the users identify its functionality would also help. For example, it should be totally different from an email signup form. Furthermore, the search results should be in a well-organized form helping users to differentiate each product. Try to include useful information that would motivate visitors to make a purchasing decision faster on your site. It will be extremely helpful to prompt your products with variations even before a user completes typing it. More often than less, customers would be happy that the specific product they are looking for is available in your store. Furthermore, studies have shown that the chances of conversion increase many folds when users land on a product page suggested by autocomplete. This is something you can achieve by optimizing your site search according to possible long tail keywords your customers are searching. A good analysis of search terms by users on your site would help a lot to devise such a strategy. This is particularly important if your store has multiple brands, products, and variations in your store. eCommerce customers are generally impatient when they search a product. So, it is important to provide good filter options that would help them narrow down the searches. This is particularly important if one of your product categories has a large number of variations possible. For example, let’s look into a simple search for the mobile phone. On the below screenshot you can see the filtering options on the left side of the page. The options range from brand to specifications to color. 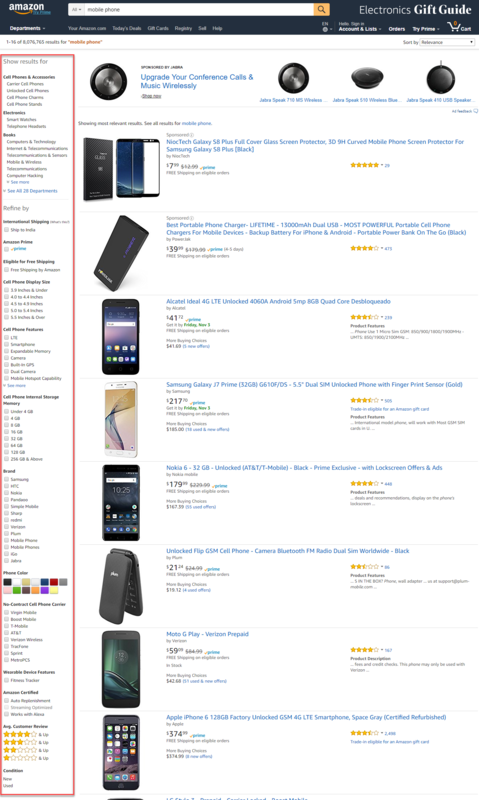 Amazon provides extensive filtering options to a simple search term ‘mobile phone’. Similarly, your users should be able to use the filter options to find out what they are looking for in your store. The obvious sorting options, based on the product attributes (for example, color size, etc.) is not enough. The new age online shopper would most likely prefer sorting options based on discounts, fresh stock, etc. Overall, once users are comfortable finding things on your site, they are more likely to come back. The trick is to turn this to your advantage. A long search term would mean that the user is looking for specific results. This is applicable to any site is building search ranking. If a site is able to rank well for such long tail keywords, there are more chances that users will find useful content there. This is applicable for specific site searches as well. It is important to keep product titles, categories, and various attributes in a searchable mix. Try to include all the possible search terms associated with a product at different levels. For example, you can use alternate words for a same attribute in the tags section. This way you can make sure your products will be displayed in diverse searches. Moreover, users who are searching for long, specific keywords are more likely to be serious shoppers. So, it is particularly important that they are getting relevant results. In fact, this will help deal with shopping cart abandonment, which is an unavoidable reality of online shopping. Often customers would do a search or click an autocomplete suggestion to land on a product page. Offering them an option to go just one step back is especially important. This is because customers go through multiple stages of refining before they finalize on a product. A useful display of breadcrumbs will be a great solution in this scenario. It helps the user to go back to the appropriate level of their search flow. It helps them sort out the available options in a more organized way. Product search options are something often neglected by store owners. But it holds a lot of potential in improving user experience and sales conversions on your site. It helps users to navigate easily on your site, and find the product that they are looking for. Advanced tools like intelligent autocomplete can definitely help in this regard. 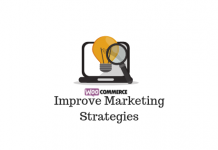 WooCommerce offers multiple solutions that help you set up an efficient product search strategy. This article has attempted to introduce you to some of the best WooCommerce product search plugins. These plugins, coupled with some of the best practices, can really help to boost the user experience on your site. If you want to add an insight, please let us know.